After six years of vacation, Ray of .tSCc. is back. "The idea is quite simple, each pixel is split into a red and a green+blue scanline which are interlaced to comprise a 12 bit rgb scanline. Actually, we sacrifice 16*16 of the 4096 possible colors in order to map the red component into colors 0..15 without visual quality loss, however. As a demonstration I am converting a 320x480 24 bit rgb picture which is quantized to 12 bit rgb and dithered, additionally." Sorry for bothering again, but I have updated my C2P once more. It now also contains a faster 2x2 version and a little blob demo showing how this can be used in a realtime setting. Xmas is coming, CiH is getting fat. It is that time of year for another Mag! and present, with a bias towards last years event, but we are also celebrating the crusty memories of the year 2000. We are even bang up to date with a party report for this year! gone to bed and left you alone, Merry Chrimbo, Atari Scene! Invitation demo by SAGE, LAMERS, INTER DEVELOPMENT and RESISTANCE! Atari Lynx I or Atari Lynx II with flashcard or Handy Emulator. The winning demo from Very Important Party 2014 has been a bit delayed, but today finally No Extra released the "0ompa" demo for Atari STe machines. Insane of .tSCc. is keeping the Falcon busy by porting Amiga demos with sources available. This time around it 'Hex Pistols' from Fit. An Amiga 060-demo released at the Motorola Inside party in 2005. The Falcon port is made with help of Atari SDL by Data/Trio and Dspmod by Bitmaster. Just like Stercus Accidic it supports the Super Videl for improved performance and DVI/HDMI output. The Amiga demo from 2006 by Fit is now available on the Falcon as well. Insane of .tSCc. ported it over to Falcon 060 using the latest version of SDL by Data/TRiO and Dspmod by Bitmaster. The new SDL supports SuperVidel to avoid chunky to planar conversion so there should be a bit faster frame rate there. Unfortunately I don't have a HDMI/DVI frame grabber so the video is from a normal Videl output. A bit unexpected, Checkpoint entered the Evoke demo competition with a Jaguar entry. It's an invite for the Morphonic Lab 13 later in the autumn and is a quite long invitation with numerous effects. Code by lsl, music by balog, graphics by mOdmate, 3D-graphics by Excellence in Art and more. Checkpoint tells us tu run it on a real Jaguar or it will run at very wrong speeds. The video capture is correct and from the real deal (thanks to SH3/Reservoir Gods). This came as a bit of a surprise. Dune just released a new Falcon invitation for the forthcoming Silly Venture 2014 party. With Mic doing the graphics, things are unlikely to go wrong. And no change this time around, great pixels all around together with code by Thadoss and a streaming soundtrack by Dma-Sc. Thadoss released a new version of the intro. It now features the correct soundtrack as well as smoother scrollings and fading. It will also work on 060 machines. A short notice about Vulkteamet that once again released an ST-intro at Hackerence summer. This time around it's a one-man-show with everything being created by Blind-io. To coincide with Sommarhack we update the SNDH archive to v4.4. Just a quickie to inform you all that all the Sommarhack 2014 contributions are now online. All of the entries have recordings so everyone can enjoy. 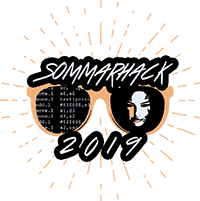 We'd like to thank everyone who visited this years Sommarhack. We had people coming from six different countries with only 25 participants total, you guys rock! Weather could have been better. Actually A LOT better. But rain and cold = more Atari, so we shouldn't complain :) See you again next year! So as you know, Outline 2014 have been going over the weekend. As usual we try to collect the Atari releases made at the compos and around. First up we have something rather huge. Remember back in the early 90's after the Oh Crikey demo was released, many thought the main menu would be awesome as a game. Years passed by and all those ideas faded away. Until now. It would seem that The Lost Boys actually were working on a game using that very code base. GGN, Grazey and the guys have managed resurrected what was made of the game and put it together for release. There is also a level editor included. The actual game play still needs some work, and with some luck we might see updated/fixed versions later on. But for now, check what could have been back in the day. Other than that, DHS released a small invitation intro for Sommarhack 2014 and there are a bunch of images and ziks as well. As per usual, we will host a download page and update it when new files arrive. Ukko, tOmy and gwEm are at it with a new Atari STe invitation for Sillyventure 2014. Nice, quick and colourful screens with the necessary party infos. It's to time to gather interest of 8-bit Atari scene for Silly Venture 2k14! Today has been released the 1st official (and really SILLY) invitro directed to this community! 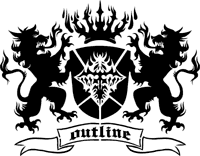 Outline is back once again! We're going were no Atari party has gone before, and that is beyond 10 consecutive yearly events. The party once again takes place at the premises of Kampeerboerderij W'tjewel in lovely Eersel, Holland. We'll have compos running on real hardware, just like last year, plenty of Atari related acts and hopefully some cool entries in the compos like in the previous decade that we served the Atari demoscene. In addition to that, the weather will be awesome because it's almost June when the party takes place, which is a virtual guarantee for a ton of fun outside the hall and on the football field. The food ticket we introduced last year is back due to popular demand, so if you like good food for a decent price, make sure to buy it along with your entry ticket. Is there any reason not to go? We can't think of it for sure, and hopefully you'll agree so we can say: "See you in Eersel, May 29th to June 1st" ! Keep an eye on the site, we only just released it and it will be expanded quite a bit in the oncoming days/weeks (public visitor list is a top priority so don't worry, we will show you who else is going- soon!). 303 new/updated SNDH files (607 subtunes). Here are some YM delights to brighten up the dark January nights. Slightly different from the norm, yes we still have some tasty new tunes including exclusives, however we also have a massive amount of fixes, many of which are by Ben of The Overlanders. A more detailed account of this work can be found at the SNDH Blog. + All the tunes from Sillyventure 2013 including 505's ginormous Relix demo!